Squire Patton Boggs has appointed Andrew Glaze as a corporate partner in its Birmingham office. Mr Glaze, who joins the firm from SGH Martineau in Birmingham, has over 17 years’ corporate finance experience, in particular specialising in mergers and acquisitions and equity capital markets transactions. He advises quoted companies and major corporates on M&A and all types of public company work. Earlier this year Mr Glaze acted for Keycom in connection with its recommended takeover by UKB Networks. Geoff Perry, head of the Birmingham corporate team at Squire Patton Boggs, said: “Activity in the Midlands corporate market has improved significantly over the past year, and we are seeing increased deal activity amongst large corporates and institutional investors in particular. 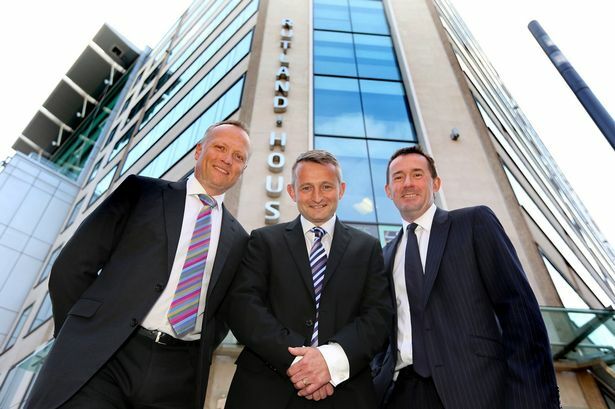 “In the face of client demand, we have been looking to expand our corporate team in Birmingham. “We are pleased to welcome Andrew on board - his arrival will add significant depth to the services we offer,” added Nick Green, managing partner of Squire Patton Boggs in Birmingham. Mr Glaze’s appointment follows the appointment of restructuring & insolvency partner Russell Hill, who joined the firm last month from Eversheds, and the promotion to the partnership of Birmingham lawyers Garon Anthony and Roy Grist, also in May.